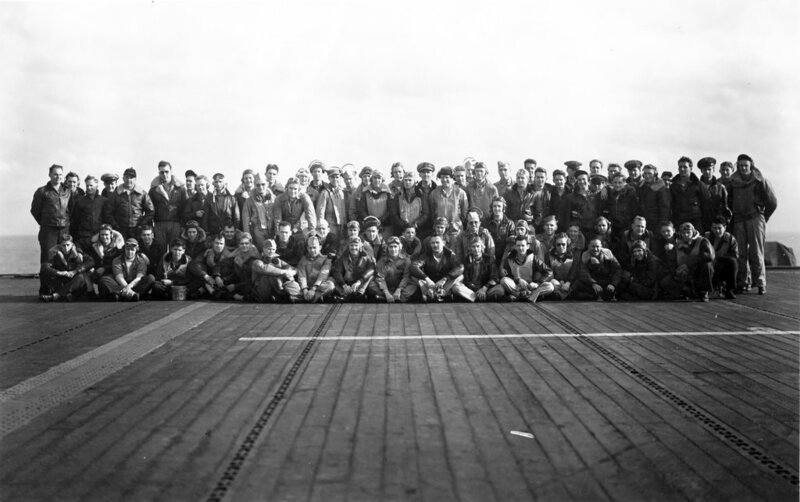 These photos were probably taken aboard USS Bogue (CVE-9) between September 1943 and February 1944. 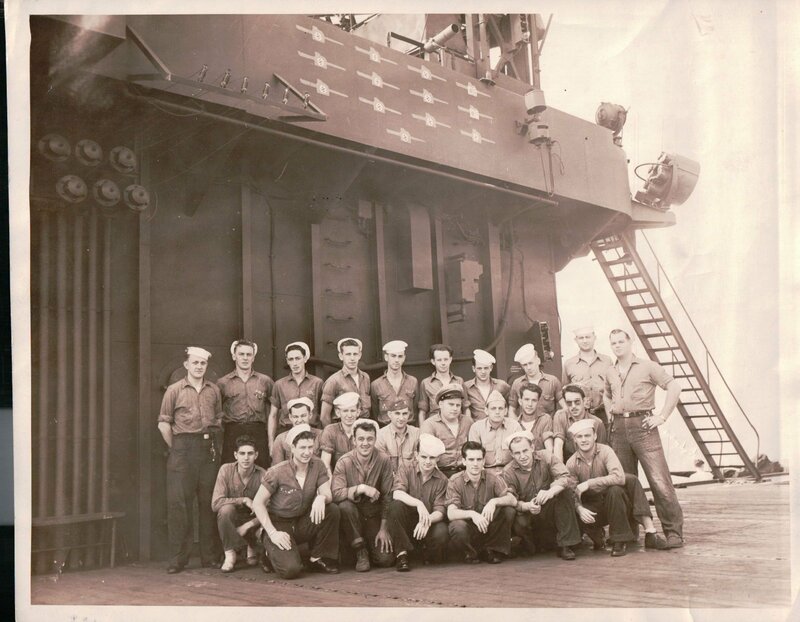 LT John S. Ireland, Jim's uncle, is in photo NS0300928a, front row, first from left. 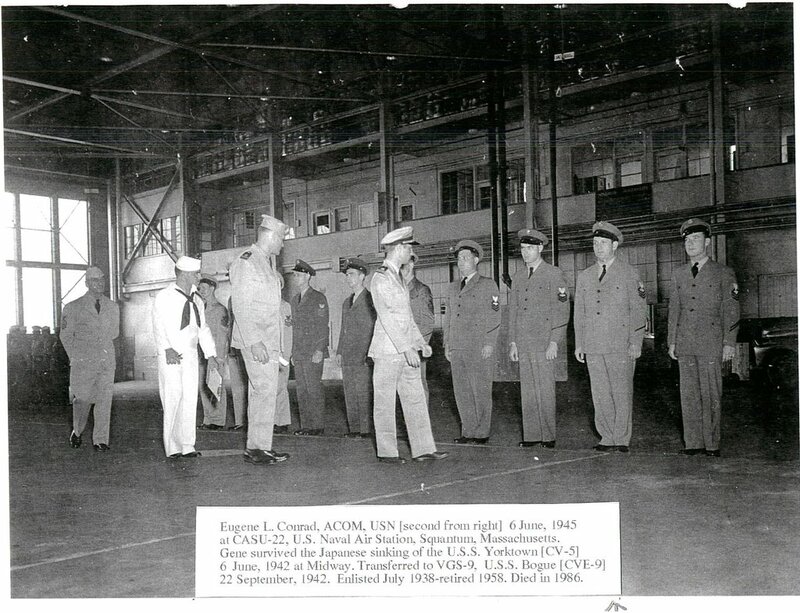 Eugene L. Conrad, ACOM, USN (second from right), 6 June 1945, at CASU-22, U.S. Naval Air Station, Squantum, Massachusetts. 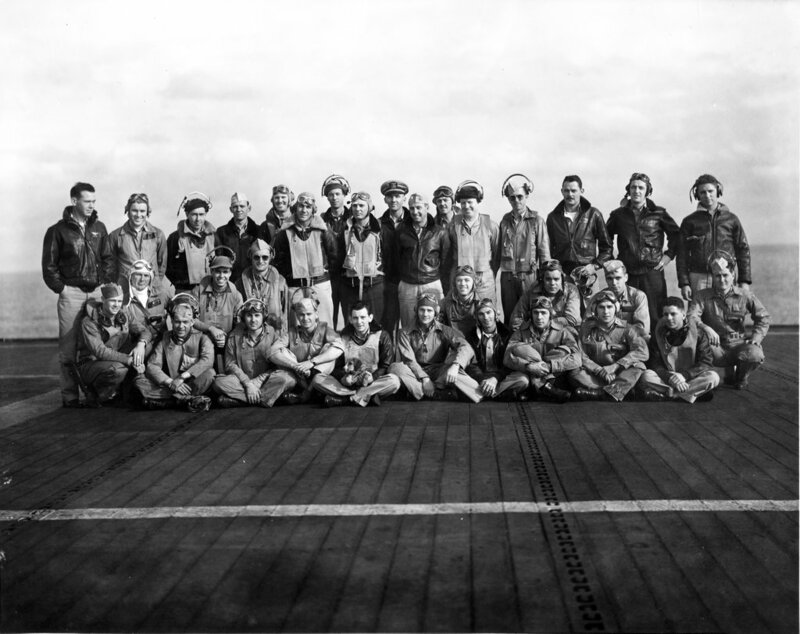 Gene survived the Japanese sinking of USS Yorktown (CV-5), 6 June 1942, at Midway. 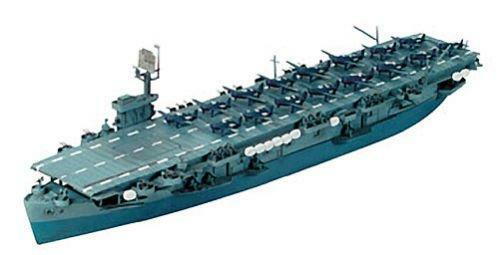 Transferred to VGS-9, USS Bogue (ACV-9), 22 September 1942 [plankowner]. 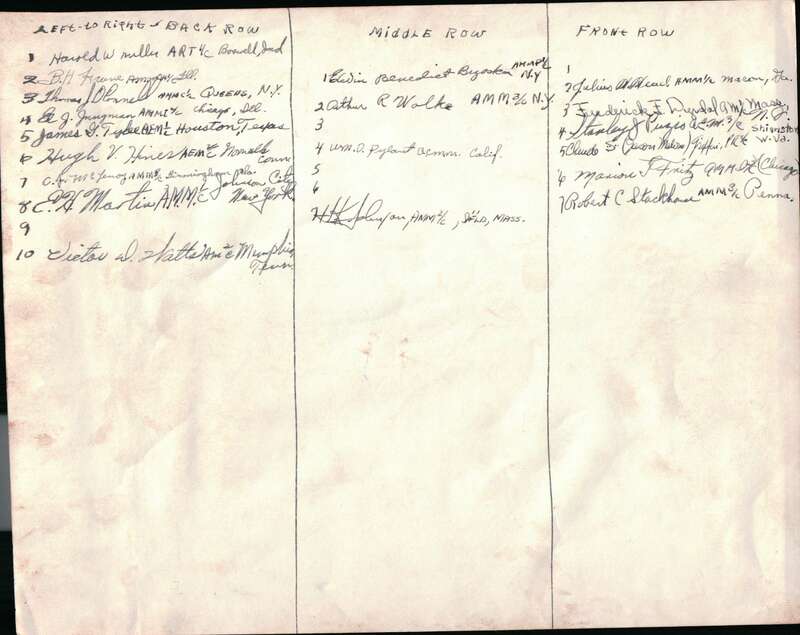 Enlisted July 1938, retired 1958. Died in 1986. 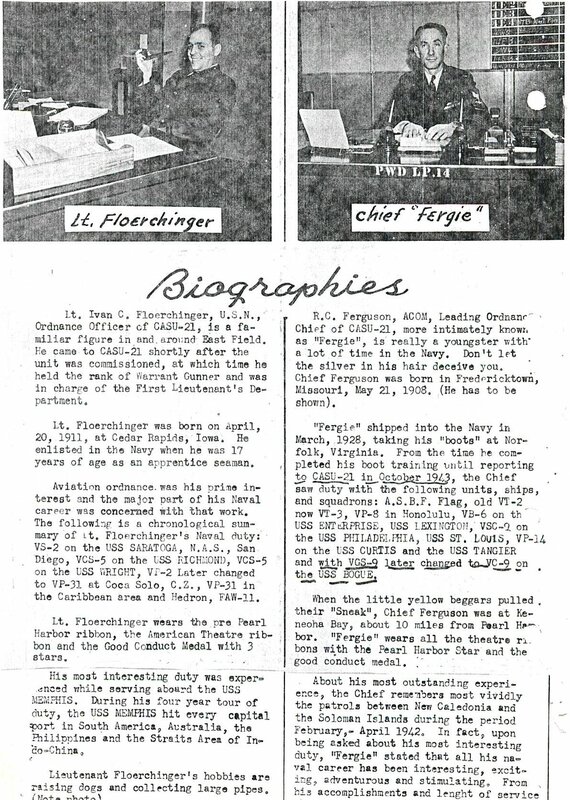 Roy C. "Fergie" Ferguson, ACOM, (right) shipped into the Navy in March 1928 and served with VGS-9, later VC-9, aboard USS Bogue. Larger copy available on request. 1/700 plastic model from Tamiya.